Every year, for my blog anniversary I write a top ten blog post. I am always a bit surprised by which posts get the most views for the year. Some of the most popular posts were written in previous years and often have nothing to do with quilting. Before I share the top ten posts, I’d like to share a few numbers. I started my blog six years ago on December 27, 2012. Can you believe it? Some of you have been with me from the very beginning. Thank you. Thank you. Earlier this week. I wrote my 400th blog post. It is kind of incredible. Up until this past November, I had managed to write at least one post a month. The earthquake put an end to my streak. Here are the numbers from previous years. Notice the views for this year. I am so close to 100K! That is part of my motivation for getting this post written now. Click away my dear readers. I know it is a just a number, but I do love tallying things. Here are the top ten—most read blog posts of the year. I hope you find a post you missed and can now enjoy. 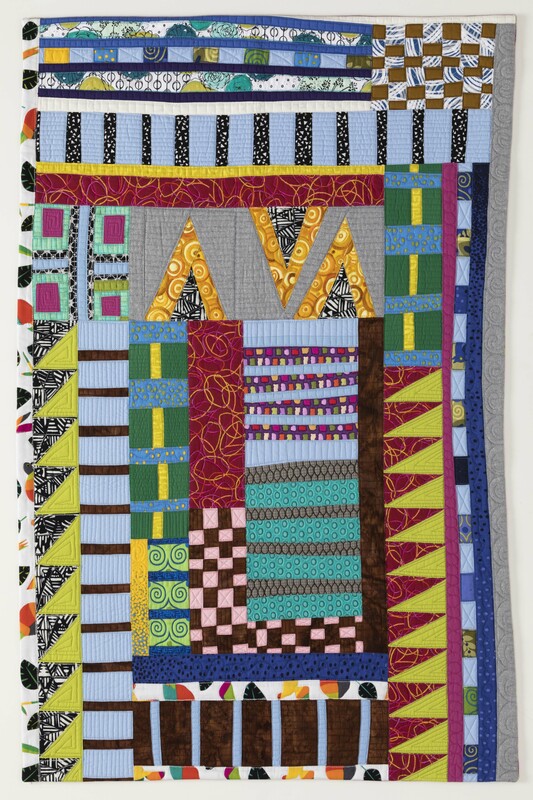 Break Up is the story behind one of the quilts I completed this past year for the group Cloth in Common. 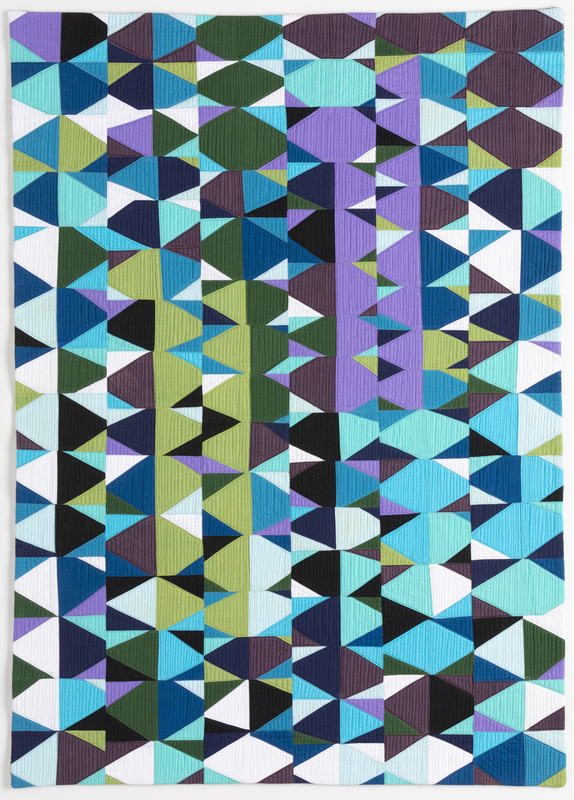 CIC is a small group of art quilters who create new work inspired by a prompt given every two months. I hope you will visit our website and sign up to follow along. The prompt for Break Up was Spring. HOT SEAT! 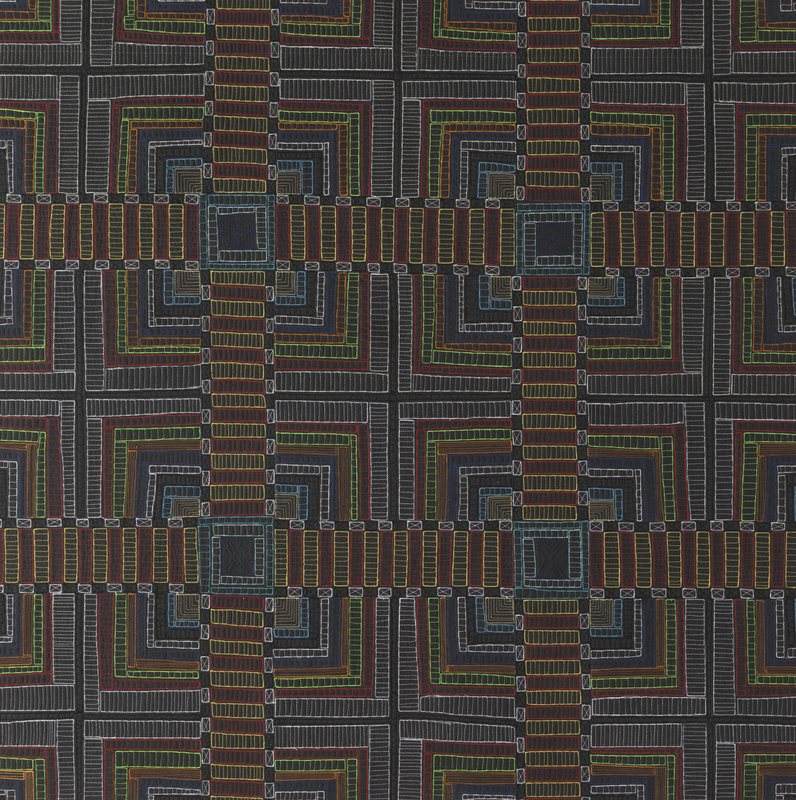 is also a piece I made in response to a CIC prompt. The prompt was Touch. Yet another post related to a CIC prompt. This was our very first prompt, and it was SOUND. In the fall of 2017, the Alaska State Council on the Arts asked me if I would be interested in making half of the awards for the 2018 Governor’s Arts and Humanities Awards. Of course, I said yes. This blog post is that story. I was honored to be involved in such an important Alaska Arts event. 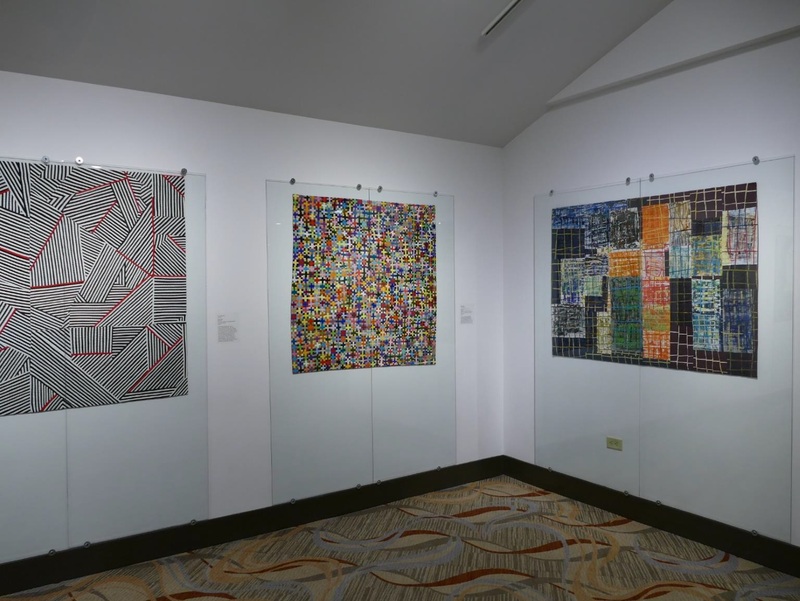 Liz Good the Visual Arts Coordinator for the Lincoln Center in Fort Collins, Colorado sent all the artists who exhibited in the 36th Annual New Legacies Contemporary Art Quilts Exhibition a visual tour of the exhibit. I used those images to create this blog post. Great show and great people to work with. 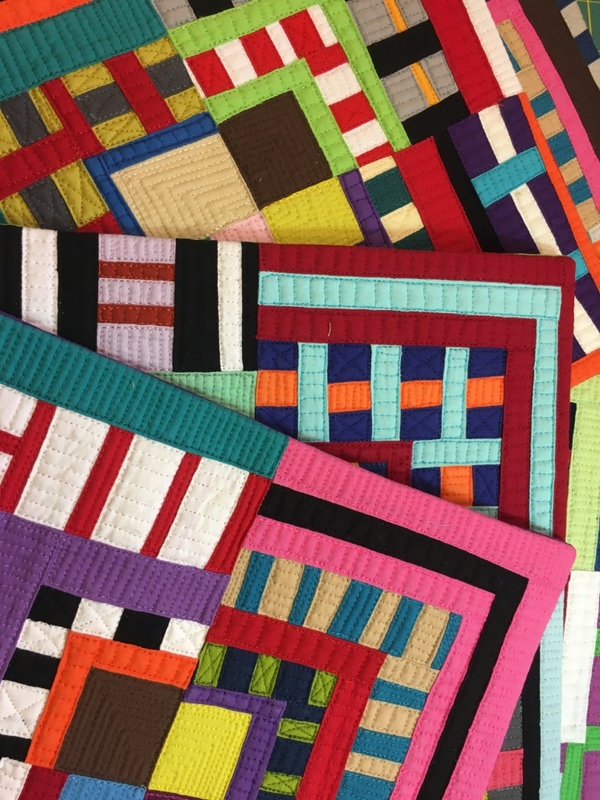 This is a good post to read if you are curious about my quilting methods. I try to cover every aspect of how I take my quilt tops and turn them into quilts. 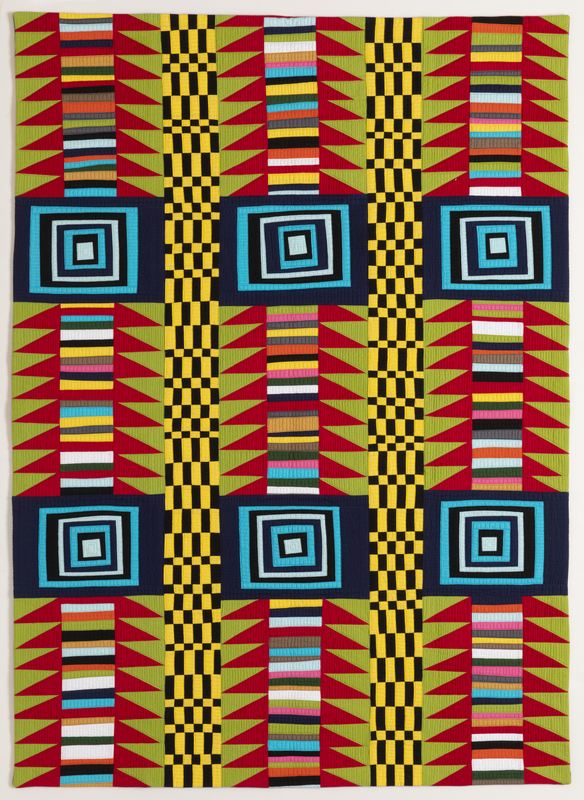 I have made lots of quilts since this post. 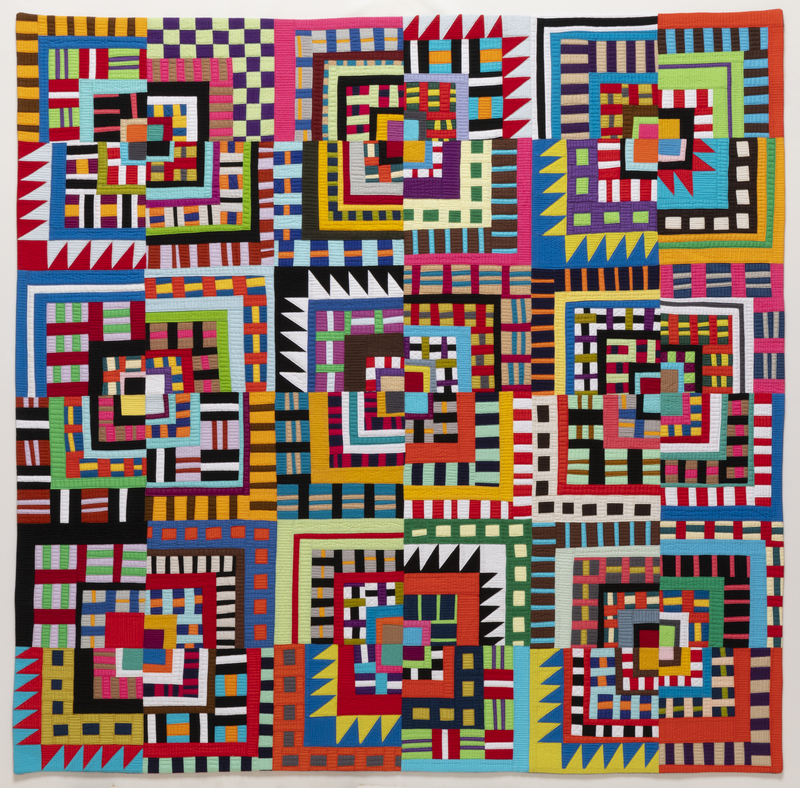 Still, it is a nice selection of the quilts I made from the first half of the year. Mosh Pit @ the Golden will be on display at the Fiberart International 2019 in Pittsburgh PA. It is a major honor, and I am very happy to have my work selected for this exhibition. This blog posts lives on and on, and it should I think. 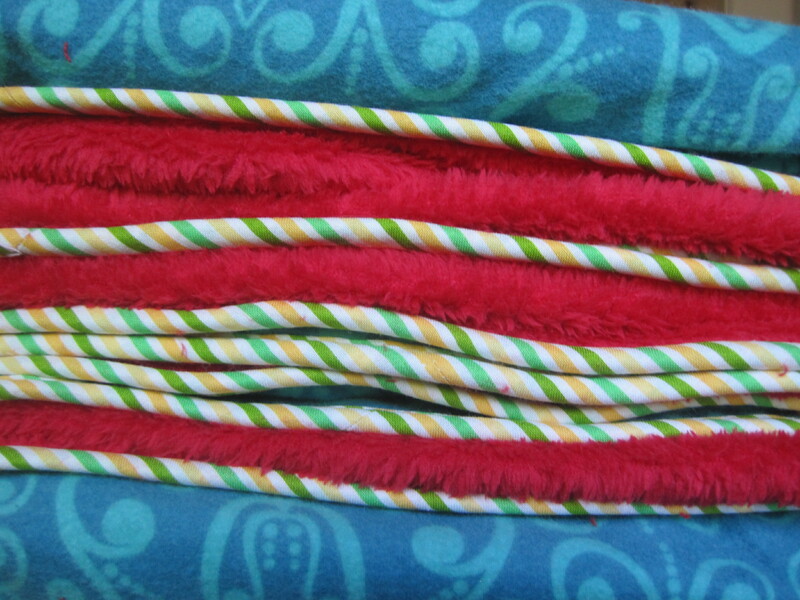 Fleece Flannel blankets are hand made objects that are always used and appreciated. If you are looking for a baby gift, follow the link. Everyone will be happy. I also make the couch version for friends who are not feeling well. A couple of years ago, this blog post started getting traction and every since then, it is almost always the top post of the day. The only time it is not, is if I have written a new post. Some day I need to do a follow up post because I have actually made several of these sweaters. 2018 was a wild ride, but I think it was really only practice for the adventures scheduled for 2019. I hope you will continue to join me here as we sally forth into the new year. Your support through words and likes means the world to me. Thank you people. I wish all of you a very Happy New Year filled fabric, friends, and family. 30 Dec	This entry was published on December 30, 2018 at 9:57 AM. It’s filed under News And Events and tagged Happy Anniversary, Top Ten Blog posts 2018. Bookmark the permalink. Follow any comments here with the RSS feed for this post. Hope you get to 100,000! By far, my favorite blog. You’re not only an uber talented quilt-maker/artist, you’re also a talented writer. I always enjoy reading your blog and am always inspired by your artistry. Thank you for giving us your time. Maria, you are the best to share your work with us. You have inspired me as I’ve read about your processes, especially your willingness to talk about “mistakes” and what you learn from them. I started the fleece blankets last year and thanks to your post, I will now finish them! I am grateful for you. Okay, I’m gonna say it, “Mosh Pit @ the Golden” is Nancy Crow-level stuff. 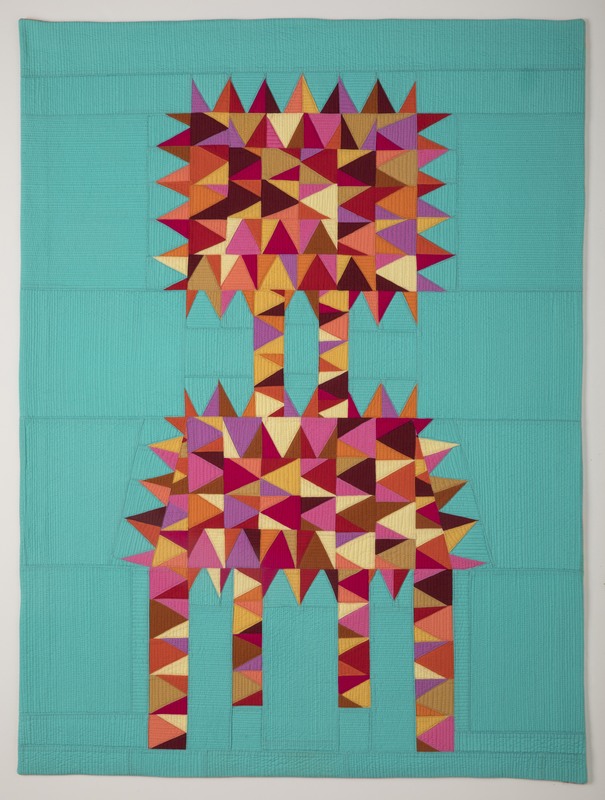 I’m so glad it got into Fiberart International because that means I get to see it hanging in all its glory in person. I’ve spent quite a lot of the last week reading your entire blog history. It was a nice way to spent holiday time. that will have changed your stats a little. Hi from the middle of an NZ summer, hopefully we’ll connect when you visit NZ in October. Happy New Year, Maria! 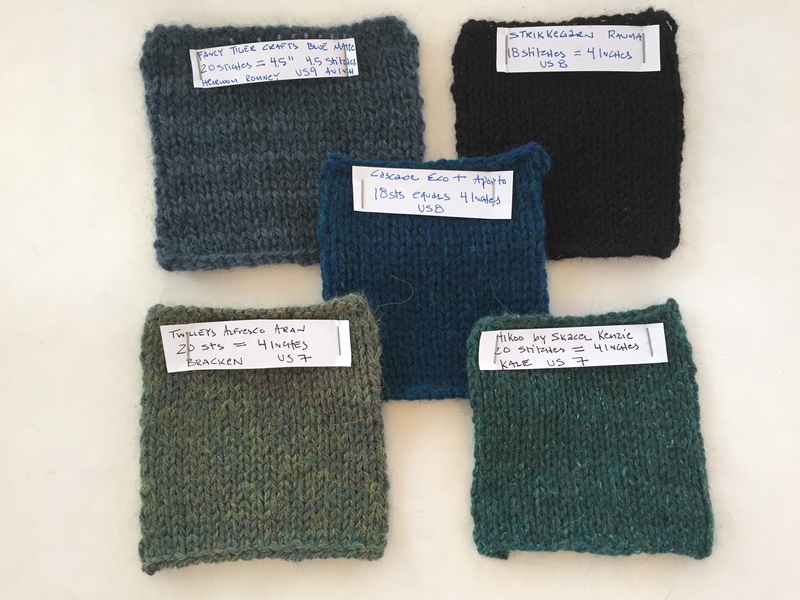 I am going to have to check out that knitting post as I am deep into knitting right now! Always a good read, Happy New Year.